This lovely pendant will enhance your body light, strengthen your energy and help you to connect with the higher realms. It also creates positive aura around you. 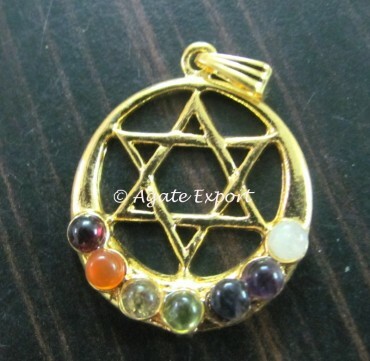 Get Chakra Star of David â€“ Merkaba Pendant from Agate Export.